Actually, you can – it’s your railway, after all. 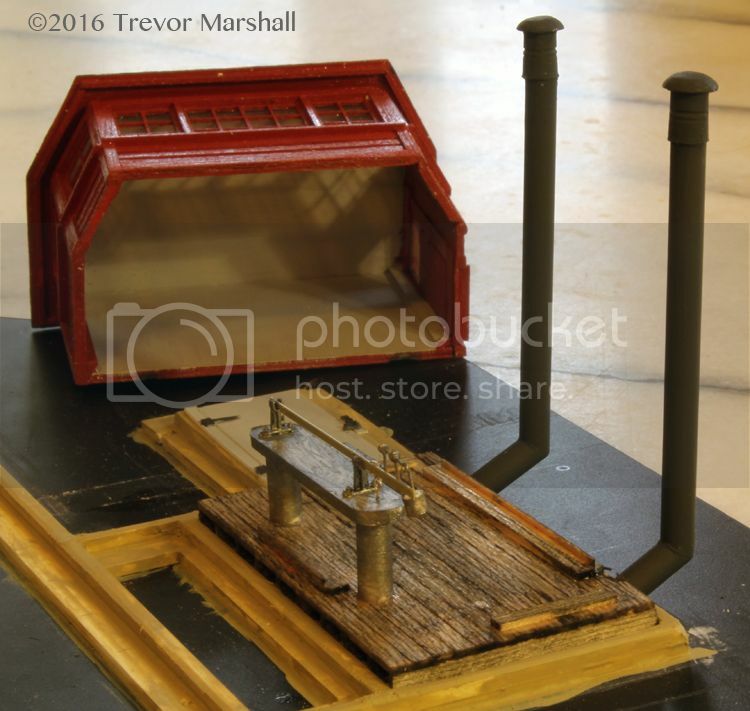 But when I researched these prototypes so I could finish my first scale test car, I learned that they were often used in pairs to calibrate railway scales. 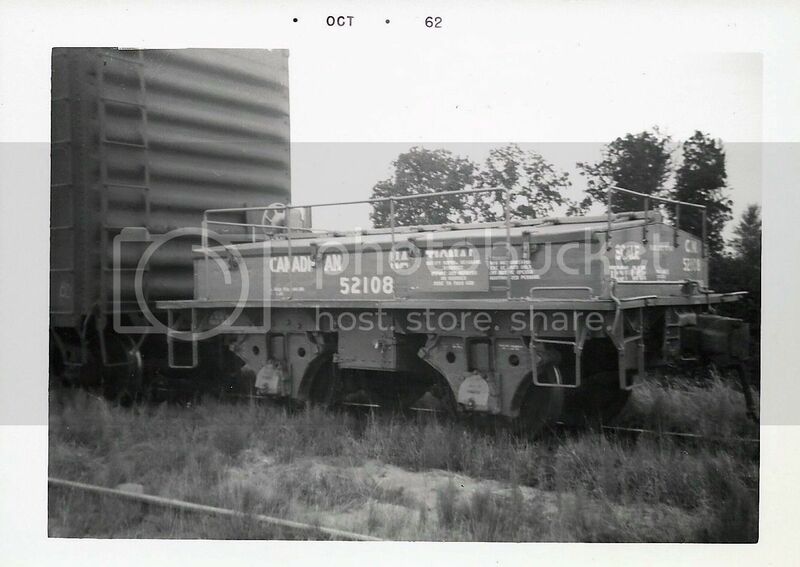 Many prototype photos show them running in pairs, too – right in front of the van, as required because they are not equipped with air brakes. 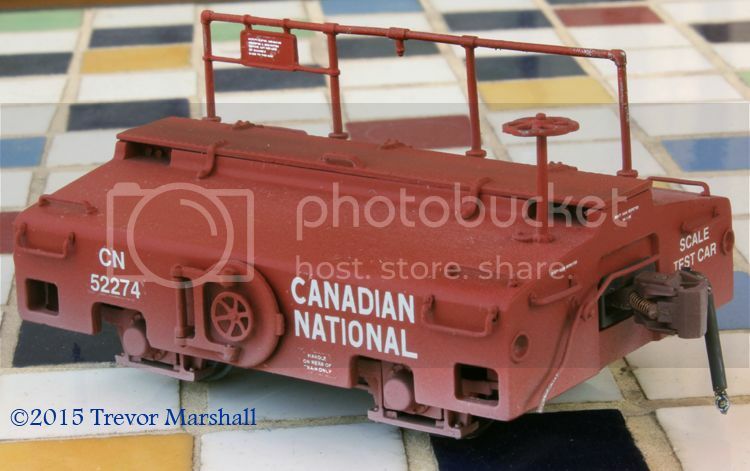 First, I discovered I had run out of the “CANADIAN NATIONAL” lettering, which I pulled from a set of Black Cat Publishing decals for an HO scale CNR van (caboose). 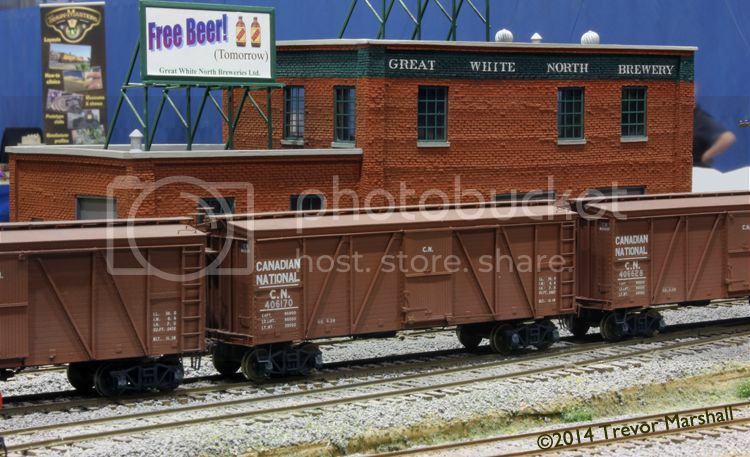 A trip to the local hobby shop – combined with other errands – solved this issue. 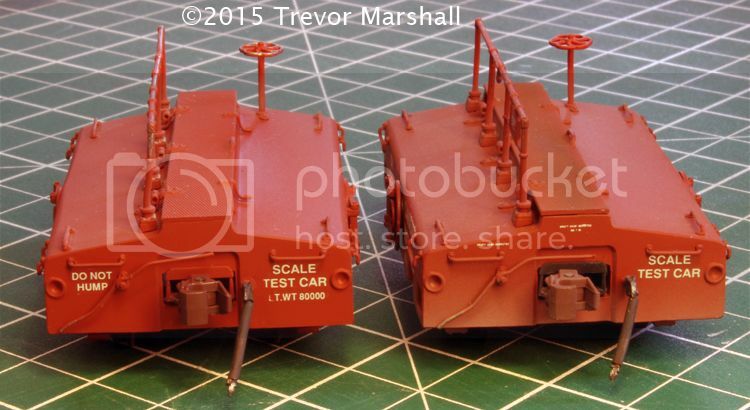 Second, the lettering set from Andy W. Scale Models only includes one road number – 52274 – and no number jumble. 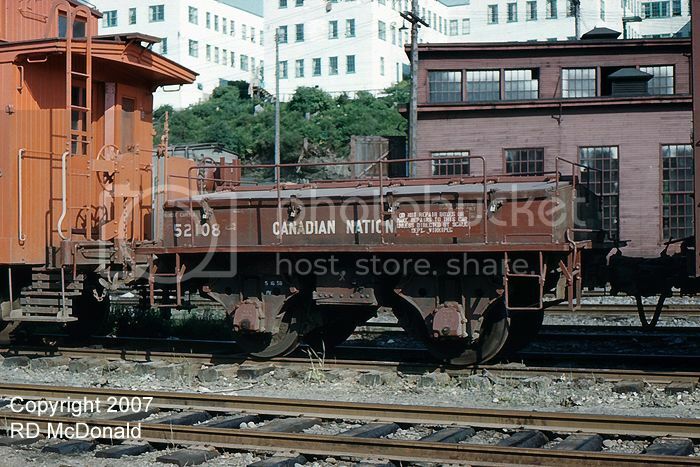 Since the cars would likely be in the same series – specifically, “522##” – my only choice was to letter this car 52247. An extra line of numbers on this otherwise excellent decal set would’ve been much appreciated – especially since these cars often ran in pairs. This was a terrific little “kitchen table” project to work on while most of my tools and materials are packed away (and the renovation continues on schedule, so I should be able to unpack things soon). 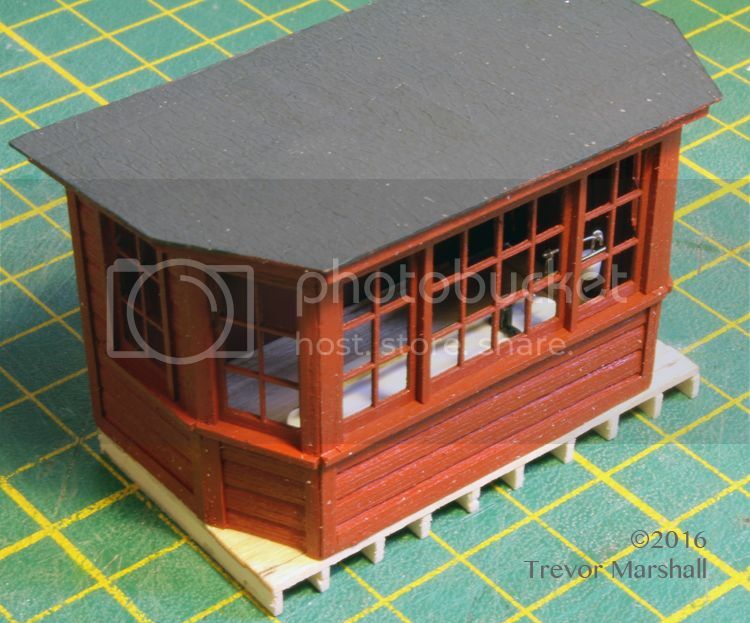 I’m looking forward to building a scale house – likely as a module for the S Scale Workshop – so I can put these neat little cars to good use. 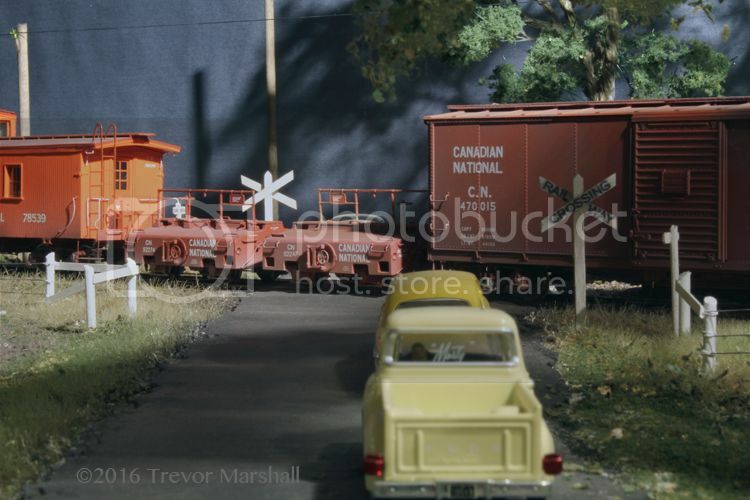 I pulled the road name (“CANADIAN NATIONAL”) from a set of Black Cat Publishing decals for an HO scale CNR van (caboose). 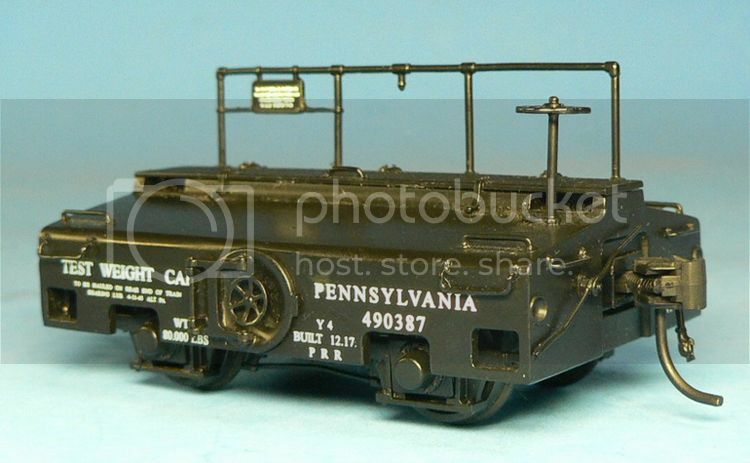 For the rest of the lettering, I used the HO scale CNR Scale Test Car decals from Andy W. Scale Models. While the lettering may be a bit undersize, I think it actually works quite well on this S scale model. 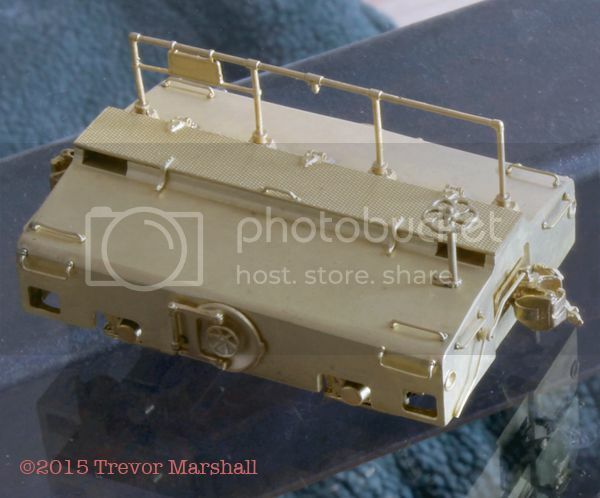 As noted previously on this blog, I recently purchased a scale test car – a brass import offered years ago by South Wind Models – and it arrived in the mail yesterday. 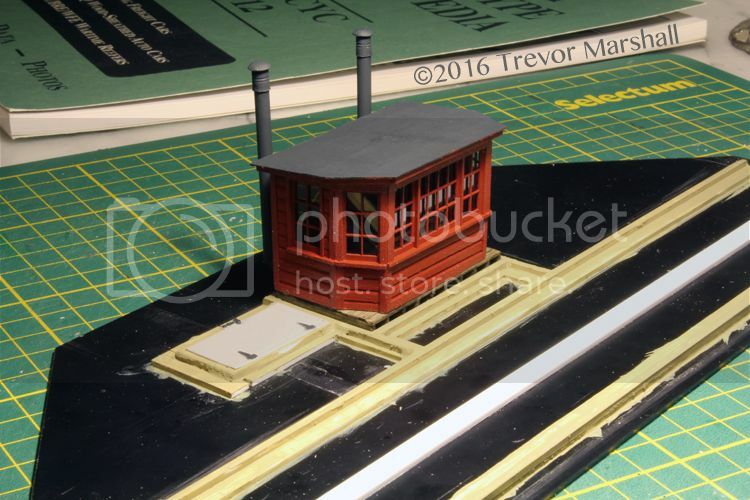 I’m very impressed by this model – not only because it’s nicely rendered (it is) but also because it tracks surprisingly well for such a small piece. South Wind Models and their Korean builder did a great job: it’s well-weighted and the springing in the horn blocks is just right, so the suspension actually performs as it should. The car positively glides on my track work – even through turnouts. In the photo above, I’ve replaced the cosmetic but non-functional cast couplers with Kadee 808s. 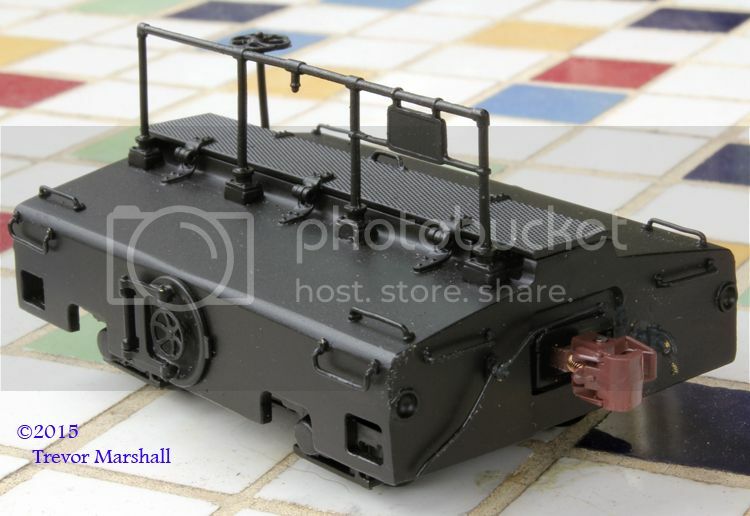 I also addressed one weak point in the model – the train line air hoses were brass castings that looked far too small and probably wouldn’t survive more than a few inadvertant knocks with an uncoupling tool, so I removed them and replaced them with detail parts from BTS (Item 02302). These featuring two nicely-done brass castings with flexible tubing for the hose itself, and they have become my preferred air hoses – I use them on everything. However, “could be” is a slippery slope. I’d rather go with something known. 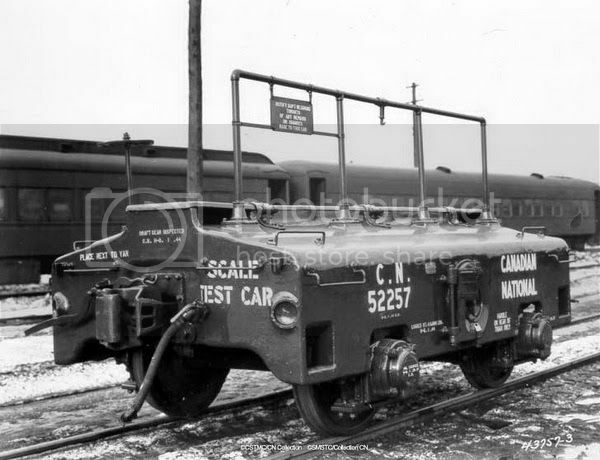 So, regardless of how tempting that black and white photo is, I’m going to bite the bullet and airbrush my model with CNR #11 mineral brown. 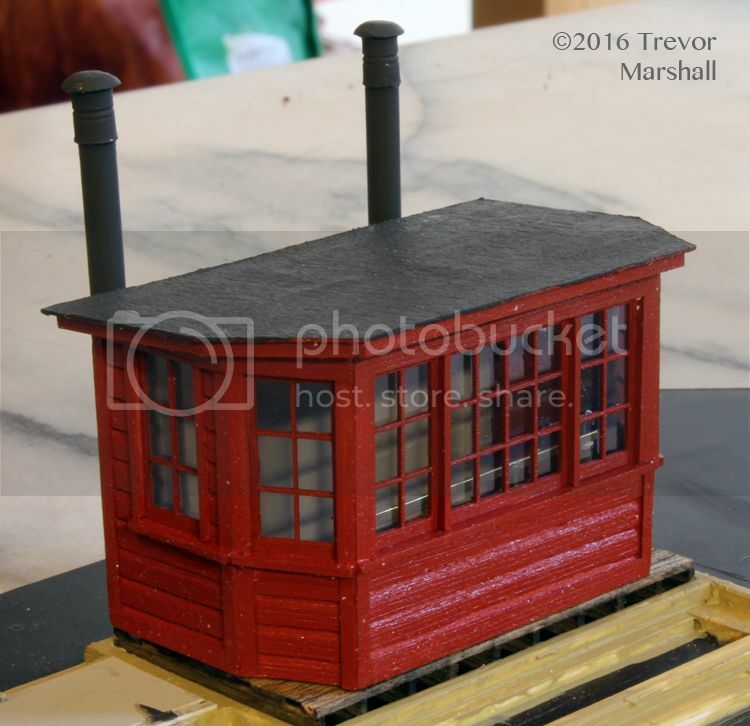 Fortunately, the official paints from the CNR Historical Society are Scalecoat and will cover the model’s as-delivered black paint without any problem. 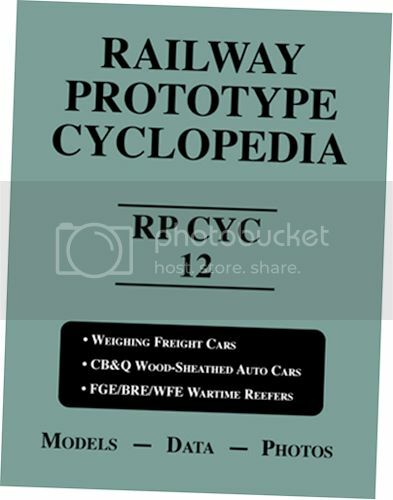 The good news is, I should be able to use a lot of the data on the PRR decal set to letter my model and I’m sure I can find a suitable set of HO decals to supply the CNR-specific information like road name and number. 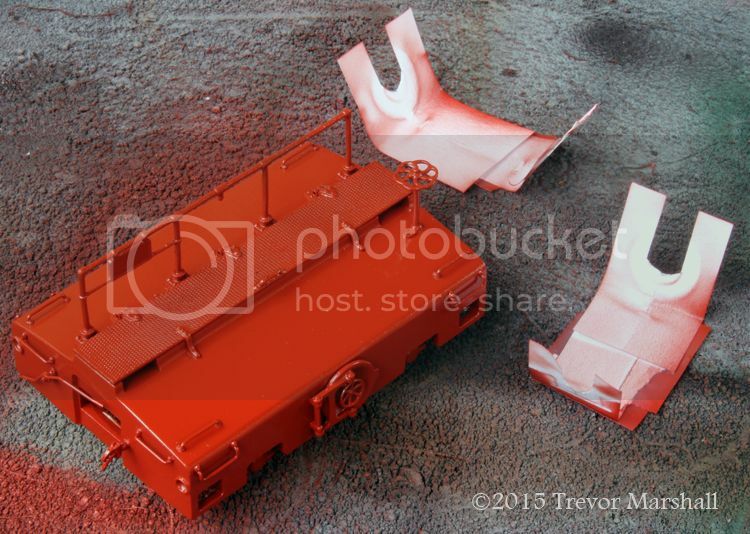 A couple of weeks ago while surfing the net I found a neat little model for sale – a scale test car once offered in brass by Southwind Model Works. 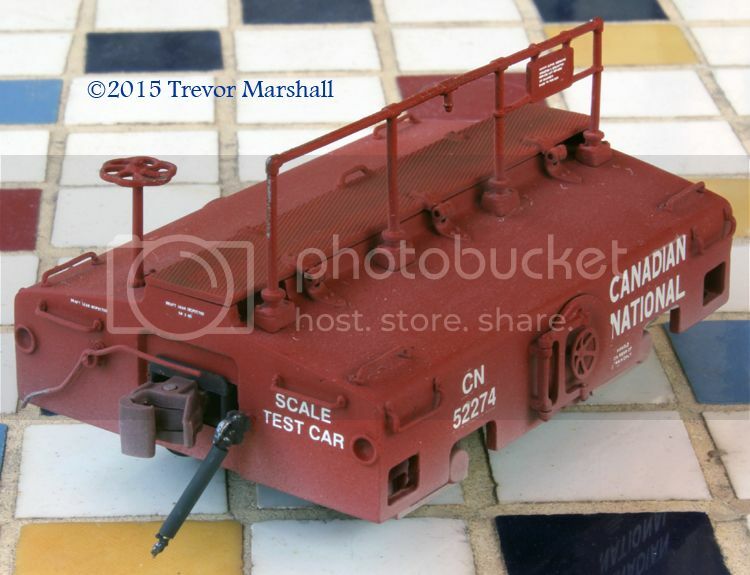 The car is en route to me as I type this, so I don’t yet have a photo of it to share – but there’s a write-up on these models, with a couple of photos, in the Product Gallery* on the NASG’s website. 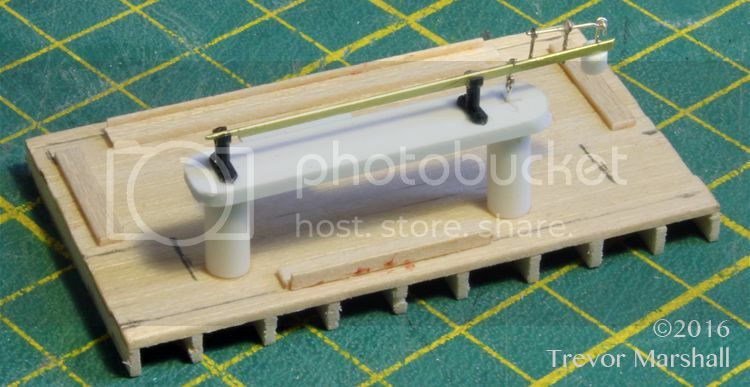 Once I determined I could get the model, the question became: “What to do with it?” My branch does not have a track scale, and there’s no room to add one even if I felt like straying from the prototype (which I definitely do not). Still, I like oddball pieces of equipment (which was the primary reason behind building a CNR snow plow, despite modelling August) and I think relocating a scale test car can provide an interesting wrinkle to an operating session: the car must be handled directly in front of the van (caboose) and a train with one of these in tow cannot exceed 20 mph. 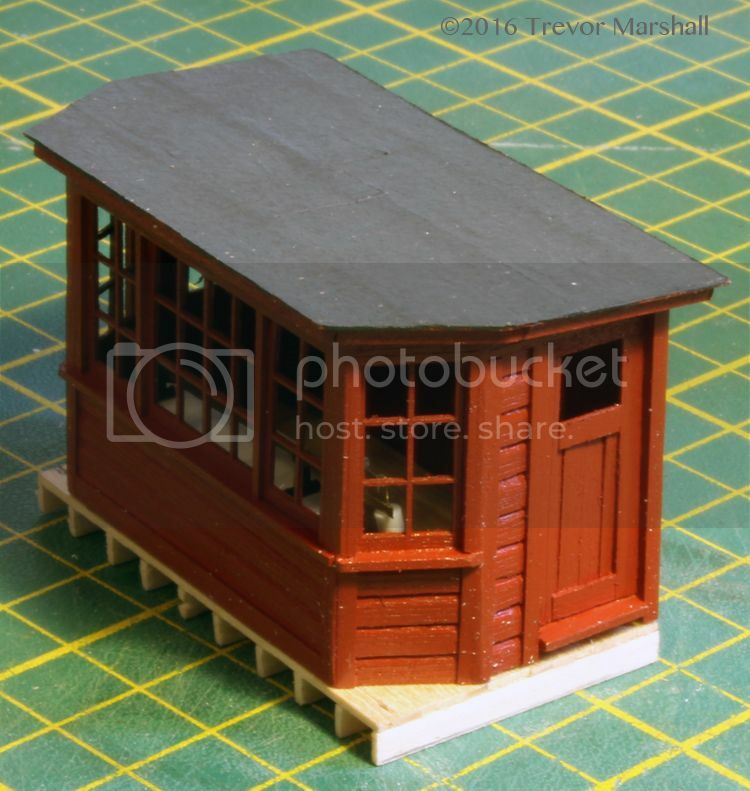 I may not be able to run such a train at home, but it occurred to me that it would be a great talking point on the S Scale Workshop modular layout. 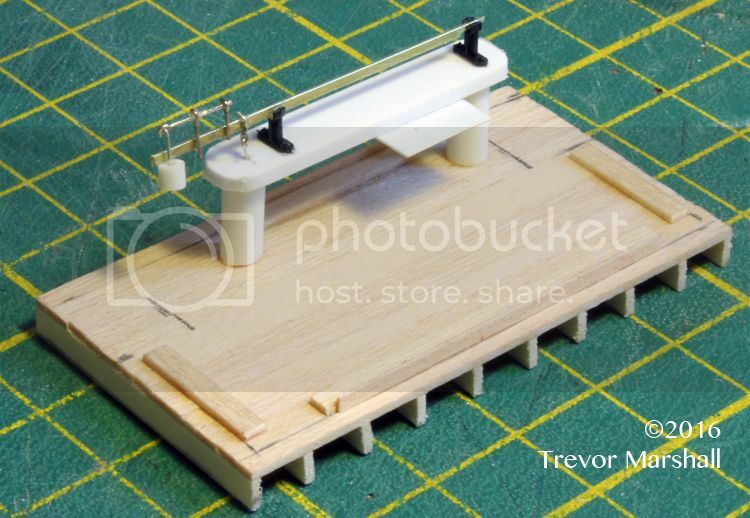 So, I started looking for photos and other information to scratch-build a model of a track scale. 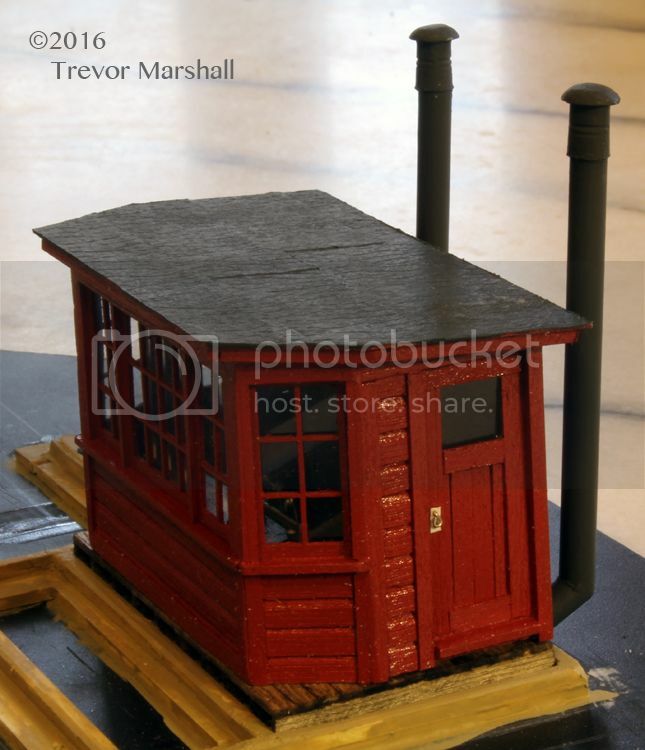 Andy saw a post I made to the CN Lines Yahoo Group, put the call out to some mutual friends, and I ended up relieving Jim Martin – another member of the Workshop – of an unbuilt kit for a scale house in S… once offered by Pete Moffett, who is also a member of the Workshop. 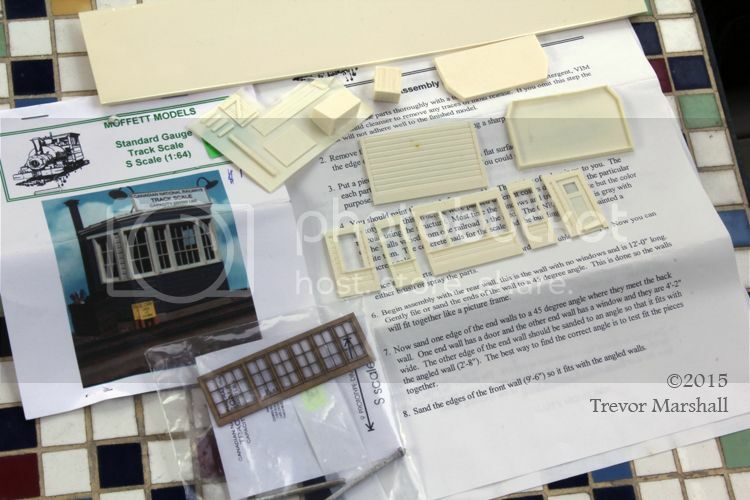 It’s a funny, small world in S.
The kit looks like a fun project – although I’m going to consider my options for finishing the structure and then decide whether I will build the kit or the resin castings as patterns to make my own walls in wood. Windows, doors and other hardware will be useful, regardless. But I have a great, small, fun project to tackle this summer – perfect since our house is under renovation so many of my larger projects will be on hold. 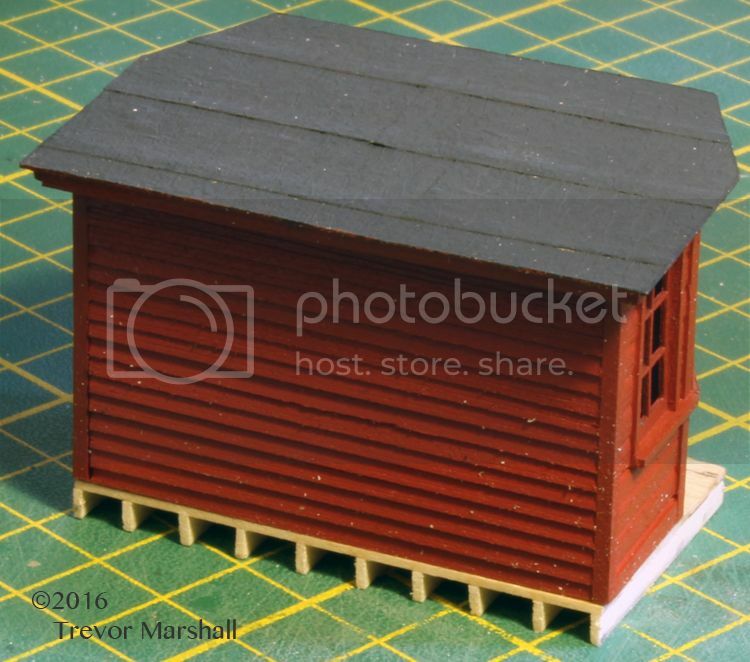 Regardless of whether I build this kit or use it as the basis for a scratch-built scale house, I’m looking forward to it!